While the origins of Tunisian crochet are debatable, the beauty of it is universally accepted. 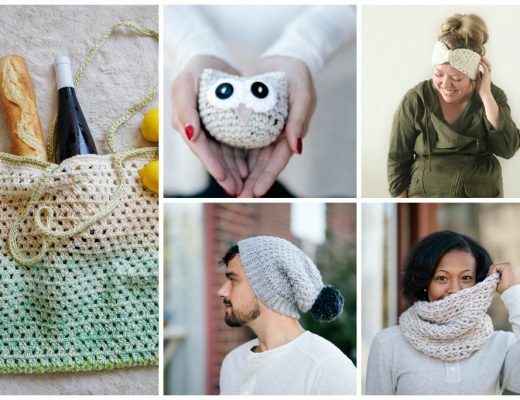 Some makers may see it as a hybrid of knitting and crochet while others recognize it for the unique qualities that set it apart. If you’ve been considering Tunisian crochet, you’ve come to the right place. Here is a full training on get your first stitches on the hook. When I first decided to try Tunisian crochet, I scoured Pinterest and YouTube, as all crafters do. There are dozens of tutorials out there, but I wasn’t able to find a single channel that answered all of my questions. To solve this problem, I launched my very own YouTube channel in March 2017. 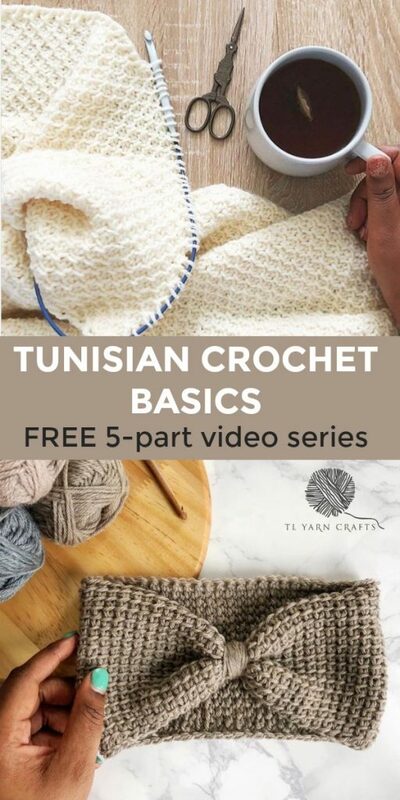 It was scary to take such a big step, but the five videos I’ve produced on the topic of Tunisian crochet were useful to others: as of February 2018, these five videos have over 400,000 views! I hope they’ll be helpful to you too. In just 20 minutes, I cover the absolute basics of Tunisian crochet. 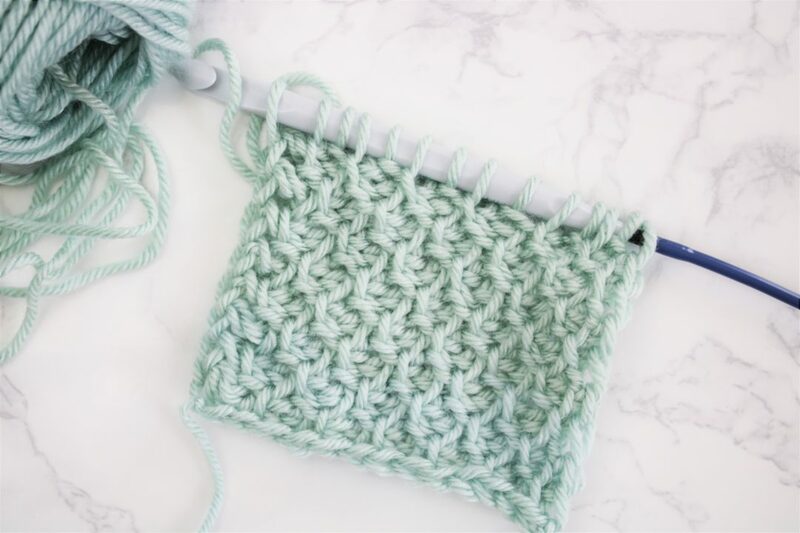 I cover some basic need-to-know tips, the tools of Tunisian crochet, then walk you through your first Tunisian crochet swatch. Who would have thought you’d be ready for your first Tunisian crochet project after just one tutorial? Take what you’ve learned and make this adorable ear warmer. *Note: depending on the hook and yarn you use, you may want your ear warmer longer or wider. To widen it, add chain stitches to the very beginning. To lengthen it, continue with your Tunisian crochet rows until the ear warmer is the length you need it to be. After learning the Tunisian crochet basics, I immediately wanted to spice up my Tunisian simple stitch swatches. Introducing color changes! 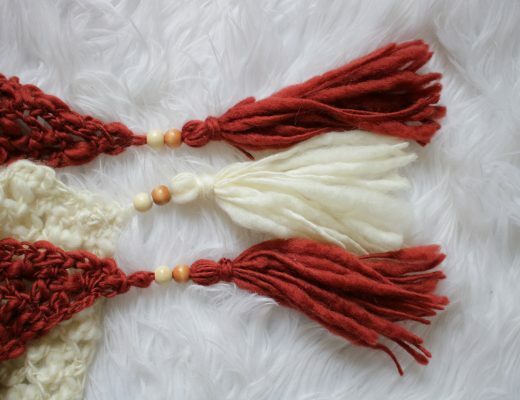 Each technique offers a different result, further proving how versatile Tunisian crochet is. To me, Tunisian crochet is a great alternative for crocheters who don’t want to learn to knit. (sorry!) Tunisian crochet has the flexibility to mimic lots of knit stitches, including the knit stitch and the purl stitch. This video shows you how while making a fun coaster project. Are you ready to take your skills to the next level? 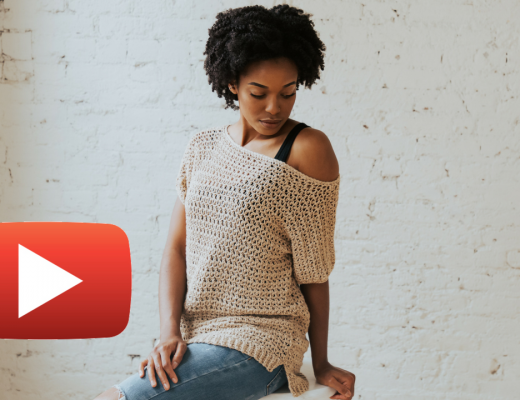 Try five gorgeous and easy Tunisian crochet stitch patterns with this tutorial video. 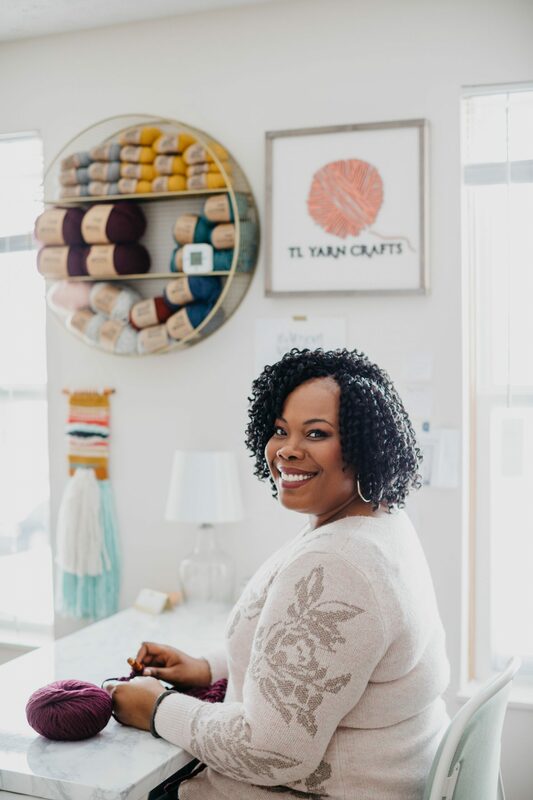 Soon after I posted my Tunisian crochet tutorial series, I started getting a lot of requests for a very specific stitch that crocheters had seen floating around the Internet. I reverse engineered a swatch I found on Facebook and created a tutorial for the Tunisian smock stitch. I’d call this a beginner+ to intermediate level stitch pattern. Give it a try! Thanks so much for these videos. Tunisian crochet is one of those things that has been poking me in the side to try forever, but I have not wanted to. I know how beautiful it is and now I am definitely going to try it in ernest. I have the Flatiron shawl in mind. Thanks again. I would like to thank you so much for your videos and website. I am an experienced crocheter, but am new to Tunisian Crochet. You have such a calm, clear way of teaching and I appreciate it. So far, I have mastered the Smock Stitch (thanks to you), and I look forward to learning more. What a wonderful, clear, well-thought website! I’m very impressed, and appreciative.